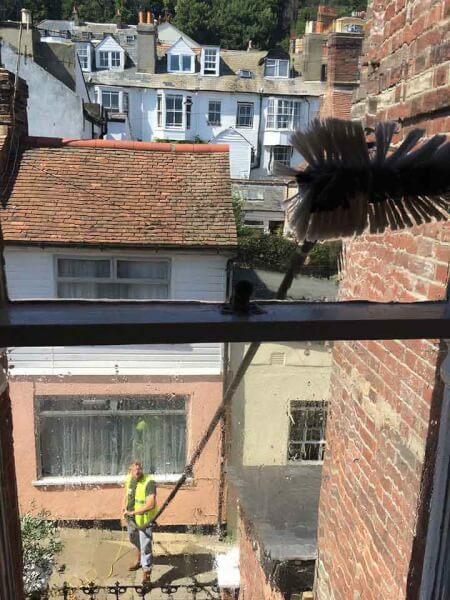 From humble beginnings, a once small window cleaning round, founded by the late Geoff William Creese, GWC Cleaning started life with just a handful of customers in the Old Town of Hastings. Our founders dedication to reliability and warm-hearted friendliness is the very ethos of GWC Cleaning Services. A now thriving Limited company that has stayed committed to those original customers, many of whom are still ours today, has grown to deliver its services to an ever-growing customer base of residential and commercial clients. Using the latest equipment and a dedication to ongoing training, GWC Cleaning’s quality speaks for itself, evidenced by the growth of an impressive and loyal customer base which we hope to include you in. We value every contract we undertake – big or small, regular to one-off. We pride ourselves on excellent customer service, ensuring that customer satisfaction is always our number one priority. We provide services for our residential customers regardless of the size of their needs. We have a range of customers, those in small flats needing regular window cleaning to those in larger bespoke properties wanting every service we offer. Each and every customer is unique in their requirements and are each valued just as importantly as another. 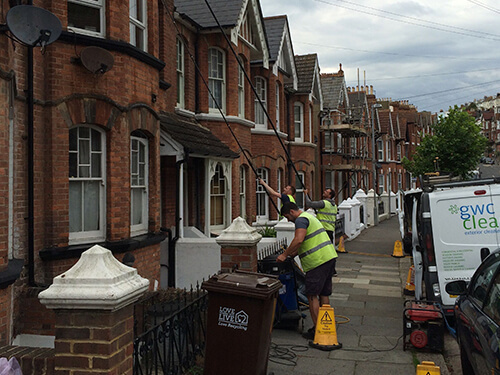 GWC Cleaning Services are leading providers of all aspects of exterior cleaning. 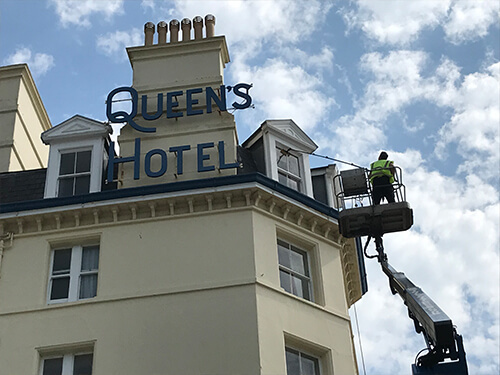 We offer exterior cleaning solutions to a wide range of sectors including leisure facilities, industrial complexes, housing estates, letting agents and management companies, as well as energy suppliers and development companies across the South East.